A very cute dark grey canvas backpack by the lovely Danish designers from Smallstuff. The leather star application is a sweet detail. 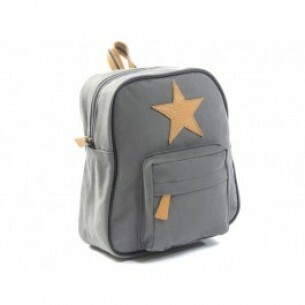 Made of coated-dirt-and-water repelling material, this backpack is perfect for the nursery or little journeys. 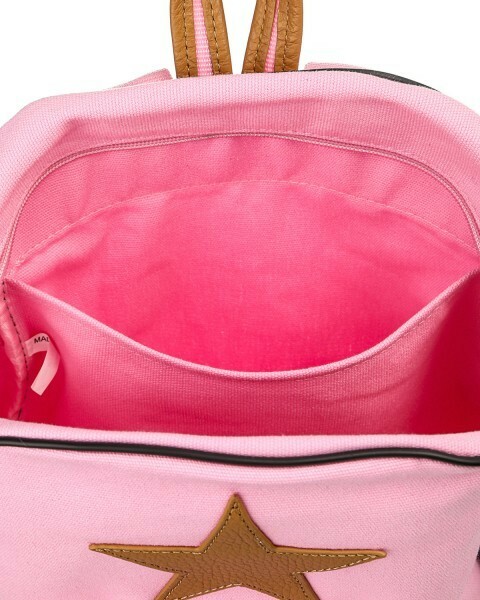 The backpack has adjustable straps. Available in four colours.